PROS & CONS About Keeping Sussex Chickens! Monday is here and as you already know, the typesofchicken.com team has prepared for you yet another article concerning a particular chicken breed. This time the Sussex chicken breed takes its turn on this page, after the articles about the Australorp,Buff Orpingtons and the Silkies. We have prepared this article for those people who are already keeping Sussex chickens in their backyard and for those who have not yet decided on what particular breed they want to add to their flock. For novices or more experienced chicken keepers here are the pros and cons about keeping the Sussex chicken breed. Much like the Australorp the Sussex are very persistent egg layers, the hens are capable of sitting on up 20 eggs at the same time if kept properly because of their large bodies. They are good and hard working mothers which makes them a perfect choice if you want to breed your chickens for meat or just upgrade your flock with some younger chickens. Also they can lay good eggs during cold weather so that can save you the trouble of needing to keep some eggs fresh when your other hens don’t lay so good during the winter. Originating from England the Sussex are also very intelligent and friendly, this makes them a very good choice if you want a smaller one breed flock. They will give you a sufficient amount of eggs and will be friendly towards you and your family. They are also good towards other animals but what is very good about them is because of their size some predators are a bit afraid of attacking this particular breed. It is safe to say that this breed will be a good add to any poultry farm just because of their size and their looks (there are Light, Speckled, Buff and Coronation breeds of Sussex chickens, all very beautiful). Their size combined with their looks can make any farm look fuller and more beautiful. There are not many breeds that can be chosen just because of their looks, and this is one of them. Now you might wonder why we at the typesofchicken.com team decided to put this breeds natural curiosity on the cons list, so let us explain. As many say – curiosity killed the cat (or in this case the chicken), this breeds friendliness and curiosity can get them at the wrong place at the wrong time. Although their size can make some predators afraid as we mentioned above, some predators will be very happy to run into one of your Sussex chickens. 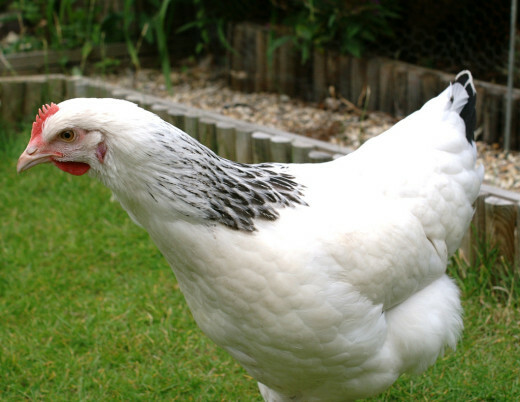 If you plan on keeping this breed make sure that your run is properly closed and that the places in your garden that are not for your chickens are handled to be chicken-free. Many chicken keepers that have experience with the Sussex chicken breed say that when it is time for treats or just regular feeding, this particular breed can be very greedy. This will not be a problem for those who have the Bantam Sussex but those that have the normal big sized Sussex may have one. Because of their size and their greed some smaller breeds may feel threatened from this kind of behavior and instinctively go lower in the pecking order even if bullying is not the case. Previous Article Why Are Some Roosters Aggressive? Next Article 3 Ways to Improve Your Chicken Coop – DIY Projects! Totally agree. 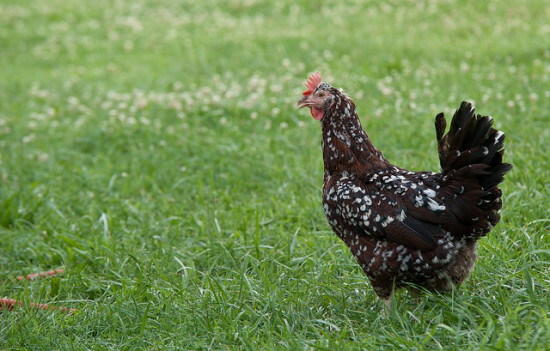 Two of our Speckled Sussex hens came up missing. We figured something got them since they run the property. One day, out comes one of the hens with 12 chicks. About a week later the other showed up with 9 little ones. None of our other breeds of free rangers have ever sat on thier eggs..fun to see I must say.